Authors in various countries have espoused different concepts of poverty. These variations are mainly due to nature of the economy of the country and political will of the government. The concept of poverty can be defined both from absolute and relative viewpoint. The absolute concept of poverty is related to the physical need in terms and goods and services and the cost required to meet the need. Poverty is then defined as insufficiency of income or economic resources to maintain that cost. The relative concept of poverty is, however, related to the economic resources that a person possesses in relation to the resources of others. According to this concept a person whose income for instance falls in the first decile of income group or is less than one half of the median income for the entire population is classified as poor [Boyle (1990)]. Rein (1970) discussed three broad concepts of poverty, viz, (a) subsistence, (b) inequality and (c) externality. The subsistence concept of poverty relates to the minimum dietary needs (calorie cut-off point) to maintain health and working capacity of an individual in the society. it is estimated in terms of some kind of notions of subsistence level of living as considered appropriate to the situation of the country concerned. Based on this concept poverty is defined in terms of an insufficiency of economic resources to meet the predetermined dietary needs of an individual or a household. Inequality or relative concept of poverty refers to position of one group relative to the resources of others and indicates the relative deprivation of one group in comparison with another primarily due to maldistribution of resources. For instance, between two individuals or household, one may be considered as poor in comparison with other though both them are capable of fulfilling the specified minimum need. A poverty line based on this conception is defined as a relative position in the income scale, rather than a specified income level depicting poverty, while poverty is measured in terms of relative shares in income of various groups of population. For example, an individual whose income falls in the lowest quantile of an income distribution may be classified as poor. This measure, however, shows the inequality in income distribution but does not depict any picture about the level of deprivation of the various groups of people [Selvaratnam (1988)]. Externality concept of poverty refers to the reflection of poverty through various social consequences created out of it rather than the needs of the poor. The poverty line serves as an index of the effect on the community or loss of welfare in the society due to persistence of poverty. for instance, number and extent of anti-social activities occurring in the society is often considered as an indicator of the extent of poverty. Each of these concepts, however, is not free from “criticisms and problems of measurement”. The first concept ignores income distribution, while the latter disregards the critical minimum requirements. There is another important concept of recent origin known as subjective concept of poverty. This concept is concerned with the judgement made by the chief wage earner or head of household who considers whether his needs are satisfied at a desired and satisfactory level. Individual or a household may be considered poor or non-poor according to their own judgement. 2. Inequitable Distribution of Income: The pattern of income distribution in the rural areas of Bangladesh reflects deteriorating economic situation of the poor. The income distribution pattern also indicates that major percentage of the income remaining to the rich people of the society. 3.Unequal Distribution of Productive Assets: Since land constitutes one of the major determinants of rural income, unequal access to land is of particular relevance in analyzing rural poverty. BBS data indicate that less than one third of the farm households controlled more than two- third of the firm area, more than two thirds of the farm households controlled less than one third of the total firm area. One of the important reasons of rural poverty is landlessness. Household’s having 0.0-05 acres of land are considered landless. The vast number of landless households, presently more than 50%, is alarming. 4.Unemployment And Under-Employment: Unemployment and under-employment are essentially at the root of all poverty. For formulation strategy for improving the situation for the poor an understanding about the employment and wage situation is necessary. Employment opportunities constitute a major factor in determining income status of a household. Average days of employment per household may be similar across income groups though they vary in terms of type of employment. 5.High rate of population growth: the size of the population would not have been a major concern if sufficient development were achieved to improve the quality of life. But the slow growth of the economy in the past coupled with relatively high rate of population growth and high dependency ratio of population exerted a direct and negative pressure on the development and poverty alleviation. It can be said that whatever little progress was made in agriculture and national production in the past failed to effectively contribute to the well being of the people owing to a proportionately greater increase in population. Although the current growth rate is below 2 percent it is still high as there is lack of complementary resources with which the growing labor force can be utilized. 6. Low Level Of Human Resource Development: It is now recognized that human resources development through education, better health and family welfare makes important contribution to poverty alleviation. Even with low caloric intake, the provision of these facilities can make the poor better off and facilities their graduation from poverty. Education is considered as the best investment in human resources development. In the budget 2002-03, allocation of resources in education & IT sector 15%.It is also realizable that low income countries get much higher rates of return by investing in education, family planning and welfare services contribute to decline in infant and maternal mortality, improve maternal and child health by allowing spacing of birth. Better sanitation and access to clean water reduce infection, boost nutritional status and contribute better health. 7.Natural Disasters: Natural disasters like floods, cyclones and droughts aggravate poverty in two ways: through destruction of food stocks and whatever meager assets the households on the margin of poverty have and by making employment opportunities scarce. While natural disaster of a moderate proportion in limited areas tend to cause or aggravate, impoverishment, disaster of severe magnitude covering larger areas may cause famine. Furthermore, diseases, injuries and afflictions immediately after disaster drastically reduce the capacity of the poor to cope with adverse circumstances. The frequency and magnitude of natural disaster in Bangladesh have been more unfavorable to the economically disadvantaged than others. In the absence of safeguard against these sudden shocks, rural households above the threshold poverty line are prone to be pulled down and those who are already below it experience further slippage. Cyclone in Bangladesh is almost a regular feature. The entire coastal belt as well inland areas experienced cyclones, which often produced surges or high tidal waves causing severe loss of lives, standing crops and other properties. 8.Access To Public Services: One of the major reasons of poverty is limited access to public services. There are a number of government agencies for service delivery at various tiers of administration and local government but in the absence of effective “clientele” organizations, this delivery structure has remained largely ineffective and inefficient. The characteristic of the Grameen model of poverty alleviation that distinguishes it from most other organizations is that awareness building, consciousness-raising, and leadership development follow rather than precede the delivery of credit services. Grameen field operations focus on forming groups and initiating the loan process. The time from when a like-minded group of five men or five women decide to join together until they are recognized as a group may take only a few weeks. Members must first participate in what the Bank calls continuous training, learning Bank rules and regulations and the Sixteen Decisions. Once all the members demonstrate their knowledge of the Bank and the group is recognized their attendance and participation in weekly center meetings is observed for about a month. Then loans may be extended to two group members. If these two members repay regularly for the next two months, two more members may become borrowers. The chairman of the group is the last borrower of the five. Five percent of each loan is automatically paid into the Group Fund. This Fund belongs to the group and its use is decided on by the group. Additionally members pay about 25 percent of their total interest payment into an Emergency Fund which serves as life and accident insurance for members. The centers meet weekly in the village with Bank Assistant at a regularly scheduled time, usually very early in the morning so as not to conflict with work obligations. Groups sit in the center shelter in their groups of five. In a complete center meeting, one can see six rows of five members neatly seated. The weekly meeting is the time of weekly repayment, deposits to savings accounts, discussion of new loan requests or any other matter of interest to members. Group and center operations are key to the operation of the Grameen credit model. First the group is the guarantor for the repayment of the loan. If a member is in default, no other members of the group can get loans. In practice, when a member is having difficulty repaying a loan, the other members of the group, and sometimes the center, work out a solution that assures repayment to the Bank. The Bank Assistant may or may not be involved in this problem-solving. Secondly, all business, especially exchange of money and discussion of loans, is carried on openly. This reduces the opportunities for corruption and increases the opportunities for members to take responsibility. Each group elects a chair and a secretary. The center elects a chief and deputy chief. These officer serve for one year and may not be re-elected until all others eligible have had the opportunity to serve in a leadership position. l High rate of recovery of credit ensured through close supervision of end-use. The recovery rate of loans disbursed by these agencies ranges from 95-99%. l Credit preceded and followed by strict group discipline (regular weekly meetings, savings mobilization, repayment of weekly installments etc.) and motivation/training on various aspects of social discrimination, human development and functional literacy. l Credit to cohesive groups preferred in contrast to the bank’s individual approach. Peer pressure, the main theme of the group approach, acts as a driving force in ensuring timely repayment of credit. l Credit preceded by all skill development training, where necessary and followed by marketing support to the entrepreneurs-the banks make no such provisions. l Credit linked to a goal-oriented savings program with a view to generating beneficiaries own investible fund, thereby gradually lessening their dependence on credit. l Credit followed by Health and Sanitation program to improve the overall living conditions of the beneficiaries. § the project was aimed at testing a model of linkage between the banks and self Help Groups (SHGs) with the active collaboration of other agencies (NGO and DAE). § the target group comprised two group-marginal/landless farmers and small farmers. § the project contracted a local NGO (RDRS) and the DAF to undertake the social mobilization part of the project of the project on behalf of the landless group and the small farmers group respectively. § the donors provided training and other logistic support to the involved agencies. Above table shows that loanee get financial support from their husband in major case.Old age member have children as incoming persons.One member told me that she had given the loan money eqally toher two sons for the purpose of investing in the business. a)Housing:Since ihave observe d the loanees house,the value of the house ,cot and other furniture determined on a lump-sum basis. some of the houses were built by the loanees personalincome generating activity and some of the house were madeby thaking house loan from Grameen bank there are five houses were they build their house withou8t any direct help frogrameen bank.so ,ffro an average calculationit is appeared tha before member of Grameen bank 40% of the loanee had house on the defined value and after membershipthis percentage risesto aound90. b)Before membership 53of the total member were drunk pure water but after membership 100% .But 1005not only the Grameen bank effort,some other NGO’s ang other governmental activities were also involved. d)sanitation: Grameen bank plays an active role in the hygienic sanitation program for the member.Grameen bank provide loan specifically to that purpose and monitor the actual useas of loan. sanitation conditition that defined by the Grameen bank,ihave seen that most of the members hve ensured this criteria. data shows that before membeaship 45% of the totalmember ensure sanitation but most of the cases unhygienic. after membership their consciousness about hygienic environment also increased.datda shows y\that at least75% of the member ensure hygienic sanitation level. e)clothing: Grameen bank mentioned that all the family members should have cloth that necessary to fulfill their needs.but it was difficult to explore this inside information in that case.For that reason ,a lot of time I have spent in their home and try to gueass their clothing pattern. since clothing pattern is a subjective matter, itr is difficult to express in numerical terms.past data placed in the table upon making discussion with them. f)food: this criteria mentioned that no food crisis for the members family ,when members were asked this question, most of them said that we had no problem and have no problem. but it seems to me members feel shame to answer this question.then I asked question indirectly beyond the questionnaire, discussion with the center manager and people other than member.from the informal interview ,it inferred to me that 20% of the members were unable to meet food supply to the family.but post Grameen bank member they change their lives by self-employment,acquisition of land and helping to other family member(s)by providing fully or partly the loan amount .data shows that at present thereis no food problemof the members family.it is also noticeable that 90% of the member always have food stock for 3-4 month which implies that if any natural catastrophic cause any problem,they will be able to overcome it at least in food. g)scope for additional income :additional ncome indicates that members are capable to earn more from the vegetable plantation specially in the members yeard.by these additional income help members to pay the installment money. I have observed the 30 member yeard and very much pleased to see their vegetable plantation. most of the member were habituated that type of plantation after entering into Grameen bank increased conciousness in that matter.some of the no place have no place in teir yeard in the said purpose. h)Health conciousness:this criteria defines that family members are health conscious and have the ability to meet the medical treatment .fortunately the survey area located in the remote of the thana hospital.people of this locality get an extra benefit in their health treatment.since better health treatment and health conciousness related with the earning capacity ,Grameen bank provide this financial supportby creating purchasing power through micro financing.on the whole ,it seems to methat alittle conciousness increases due to the Grameen bank activities.the data that I have collected member’s past condition about their conciousnessby discussing with them,anlysis with their financial conditon on that time .Overall50% of the people have no capacity to ensurenbetter treatment for the family members. 10. Record of loan defaulter: from the branch financial and non- financial statement it can conclude that members have no default record (see appendix). Upon discussing with the member, they assured me confidently. Previous year statement of that branch also reflect default rate nil. Most of the member had no involvement in loan activities before membership, some member were involved loan activities with mahajon(landlord). ◙ a part of the total land owned through inheritance. ◙ due to growing industrial area, the value of the land changes dramatically past ten years to now. From the table it is shown that in past number of landless women10 but at present it appeared to 6. At present the 6 members include the newly joined member where they continued membership for 1-2 years. Land ownership is a continuous process. Table shows that before membership1-30 decimal land ownership was 6 and after membership remains the same. Member change their position by acquiring land. People of that area are very much interested in acquiring land rather in investing in business. Because value of the land in that particular area increases rapidly. So, measuring the value of land and ownership has some overlapping problem. Before membership they had no formal deposits. Deposit in the Grameen Bank collected by the center manager along with the weekly installments. Members save this money in the name of their child and all of them feel secure by saving this money. Grameen Bank has a broader list of investment by which loanee can acquire loan to that specific purpose and of course loan should be used to the said purpose. The main purposes of loan of that area are fishing net, boat, agriculture, cow breeding, house loan, small business, poultry, pisciculture, land mortgage etc. some cases member use loan for their family purpose such as dowry, overseas job, marriage and other occasion. The Grameen bank is a specialized financial institution established for providing credit to the rural poor for improving their economic conditions. It was started in 1976 as an action research project in an area near ChittagongUniversity to test the hypothesis that if the poor are supplied with working capital they can generate productive self-employment without any external assistance. The project was formally launched in Tangail & Chittagong districts in november1979 and was later extended to Dhaka, Rangpur and Patuakhali districts in 1982 with financial assistance from the International Fund for Agricultural Development (IFAD). By govt. order of September 1983, it was transformed into a specialized financial institution with a paid up capital Tk. 30 millions of which 40% share paid by the government, 40% paid by the loanees and 10%each by the BKB &Sonali Bank, largest nationalized commercial bank in the country. Any person belonging to household owning less than 0.5 acres of cultivable land or asset not exceeding the value of one-acre land is eligible for taking loans the bank.The basic issue that emphasis on this paper mainly on Grameen bank and its role on poverty alleviation. 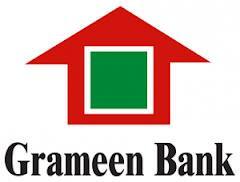 Grameen is both a bank and a poverty alleviation organization. Dr. Md. Yunus opined “ Poverty is not created by the poor .It is created by the institutions and the policy environment created by the designers and managers of those institutions. There is nothing wrong with poor people. They can get out of poverty by themselves. All they need are opportunities. That’s what state must provide. They need opportunities for earning income. That’s all.” Poverty alleviation is not simply raising the incomes of the poor people, poverty alleviation also means the political and psychological changes that allow the poor people to participate. Poverty alleviation organization is the business of changing values, of changing culture. Susan Holcombe suggests that organization must start first with their own culture and the values of a poverty alleviation organization must be consistent with its vision. Poverty alleviation means facilitating the participation and empowerment of the poor. Whatever their status .On a philosophical plane, a belief in the potential of people is indivisible. On practical plane, valuing the potential contribution to staff, taking them seriously, in expanding the power of organization to perform in the grassroots. From the case study, Vaberchar-Gazaria branch, Grameen bank has made a positive contribution to poverty alleviation in the area of its operation. This is particularly impressive the backdrop of the disappointing experience of the past development efforts which failed to improve the condition of the rural poor. But the bank has so far covered only about 3-to4% of it target group household in the country. The question still remains whether it can be expanded to a wide enough scale to have a significant impact on alleviation of rural poverty nationally.